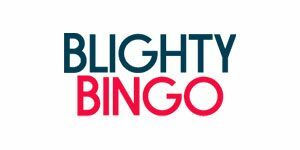 Blighty Bingo Casino will then reward you with a bonus (Welcome Bonus is for new players only). The terms and conditions of the bonuses vary between different casinos and might also change over time and between different countries, so it is important to compare the different offers and read the T&C for Blighty Bingo Casino before signing up. Once you enter the site of Blighty Bingo, you feel like you have entered a crazy world of Bingo! This is possibly due to the caricature, and the stylish look that the casino sets off. Besides the fact that the Bingo games are brilliant, the casino has No-Lose Bingo Rooms where players do not have to fulfill any kind of wagering requirement. This is great for anyone who’s had a bad day at work and wants something to cheer him up. 888 Group operates this and the Tou Marketing Services, a London based group handles the marketing online. Who are the Top Game Developers? Top names in the business have their lineup of games at Blighty Bingo. The casino has Bingo of course, and it has many rooms playing different games at a time. Similarly, the casino has slot games too from developers like NextGen, BetSoft, NetEnt, and others. Games are the only reason for a casino to thrive. Blighty Bingo has Bingo games going on round the clock across time zones. Besides that, the casino has many slot games too that players may have played and which are quite popular as well. However, if there is a minus point to mention, we must admit that Blighty Bingo does not have Video Poker or other table games or other Scratch-card game categories that many might love too. Progressive jackpot Bingo games have found great love from players who visit the Blighty Bingo casino to play their favorite number game. In addition, the loyal patrons can look forward to playing Ace Club too and win further. Every player who has searched or ever played the slots would be aware of the slot games that are listed here. The site has games like Starburst, Da Vinci Diamonds, Cleopatra, Cash Stax, and Foxin Wins among the lot. These are top games and their game plan, and their popularity is also the reason for players to queue up at the site. 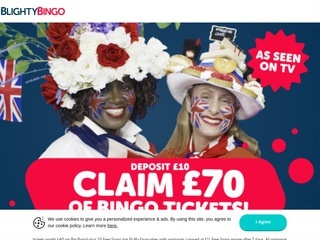 As a modern casino site, the Blighty Bingo has its own mobile friendly site. The site is available across different platforms as long as the player uses the internet. Players can use PaySafe card, Maestro and other cards along with regular e-wallets. Players need not to worry about their confidential data on Blighty Bingo since the site has SSL 128-bit encryption on for the same. The 24-hour chat service is on for the players to seek any queries to the casino, and they can also use the toll-free number on the website.